A colleague once told me that there are three people one absolutely needs to befriend in this chaotic modern world: a doctor, a banker, and a butcher. The reasons for the first two are obvious: health and wealth may not guarantee happiness, but having both sure does help. But why the butcher? I mean sure, we all want to eat well (I'll assume that those of us reading this blog do, at least. I've always said that barring some major catastrophe, a day that ends with a good meal is a good day). But then why not give the fruit seller, the baker, the fishmonger, or the pizza delivery guy (don't be a snob) equal recognition? Well, for one, we were both currently employed as butchers; at first I assumed that my co-worker had simply chosen to place our profession on the list out of some uncharacteristic sense of occupational pride. That right there was why it is a good to have a butcher on your side. Both the lucky recipient of the 'mislabelled' steaks and our defrauded employer would have agreed, albeit for very different reasons. The butcher is an important because meat is important. From the prestige of the expensive steakhouse, to the kitsch gluttony of a local ribfest, to pride of place given the turkey when families gather over the holidays, meat isn't just a major component of the western diet, it shapes how we eat, why we eat, and even how we think about food. And it has done so for a very long time. Records of great medieval and early modern banquets, the sort attended by kings and queens, by the wealthy and the powerful (and sometimes observed by lower ranking spectators) tell of a fantastic variety of elaborately prepared and spiced meat dishes, and little else. I was once part of a discussion group where Harvard historian of science Steven Shapin remarked that he was unsure from the historical record whether the upper classes in early modern Europe simply didn't think vegetables were worth mentioning when they wrote about food, or whether they ate no vegetables at all. The all meat diet implied by the latter would go a long way towards explaining the prevalence of maladies such as gout and constipation in the early modern world. Jean Jacques Rousseau, writing in the eighteenth century, is supposed to have defined happiness as: 'a good bank account, a good cook, and good digestion.' (Maybe my colleague was a wiser man than I gave him credit for to have come to more or less the same conclusion as one of the titans of the enlightenment...) That oft-repeated quote is impossible to source, but in Émile (1762) Rousseau wrote that 'among country folk the larder and the orchard are always open, and nobody, young or old, knows what indigestion means.' 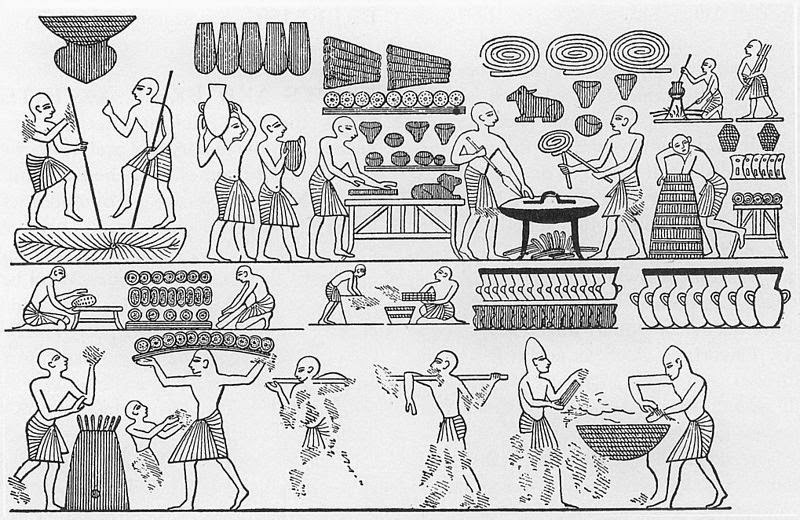 The wealthy must have known that their meat rich diets were unhealthy – and they don't seem to have cared. There isn't, however, much evidence relating to the butchers of medieval and early modern Europe. The pop-linguistics explanation for the rather uncommon distinction made in the English language between the word for the animal in the field (cow, chicken) and the meat on the plate (beef, poultry) coming from the fact that traditionally the animals were raised by the poor Anglo-Saxon speaking peasants, while their meats were consumed by the wealthy Norman French speaking land-owners may not be perfect, but sure sounds reasonable enough. Those with the money to eat well also had the leisure time and the education to leave a written record. Those who did the work often did not. 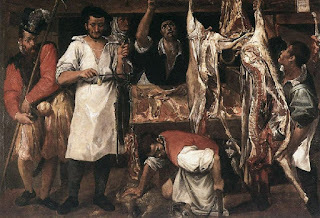 The sixteenth century Italian baroque master Annibale Carracci, best known for his work on the ceiling of the Rome's Palazzo Farnese (currently the French embassy), painted at least two butcher's shop scenes, possibly commissioned by the local guild. Compared to the status of butchers elsewhere, this was pretty good. 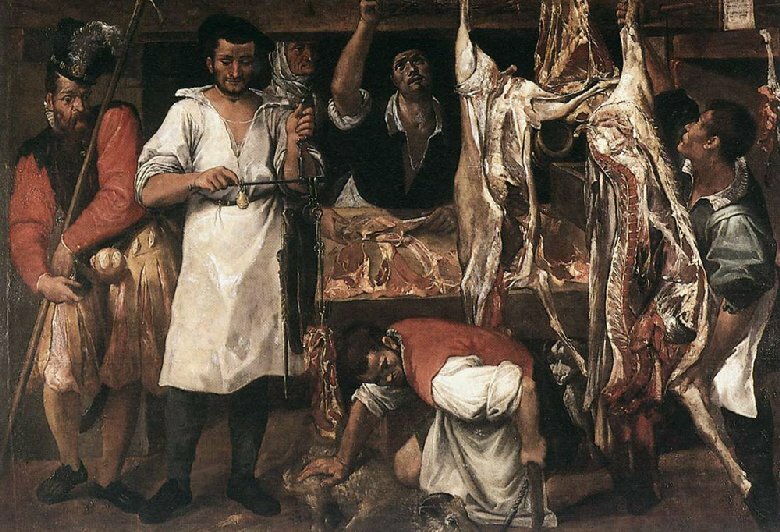 By way of example, butchers were considered 'cheonmin' (unclean commoners) in medieval Korea, a status they shared with shoemakers, prostitutes, and sorcerers. The traditional butcher caste of central India, the Khatik, are considered a scheduled caste in several Indian provinces to this day, and therefore entitled to benefit from certain affirmative action programs. Butchers in the western world may have been reasonably well off, but nineteenth and twentieth century industrial capitalists, as was their wont, did their best to de-skill and de-value their trade. 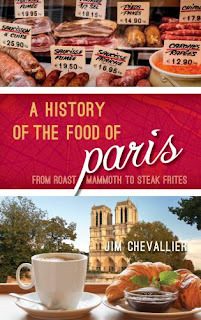 In the nineteenth century United States the combination of a vast open frontier, perfect for grazing immense herds, and technologies such as the railway, canning, the assembly line, and refrigeration enabled the masses to consume far, far more meat (at a much, much lower cost) than ever before. William Cronon's 1991 masterpiece 'Nature's Metropolis' explains the key role of Chicago's meat packing industry in the white settlement of the American Midwest, and development of the modern stock market, and is highly recommended reading for anybody with an interest in environmental history. The short term losers in this process that eventually put canned hams and frozen burgers and mystery meat sausages on the plates of even the poorest Americans were the slaughterhouse workers who did the dirty work. And dirty work it was. So horrible were their working conditions that in 1906, the socialist journalist and novelist Upton Sinclair published 'The Jungle,' hoping to draw attention to the wretched conditions faced by the employees – often poor immigrants - of Chicago's meatpacking industry. The book provoked a public outcry, but not the one Sinclair had hoped for; readers were disgusted by the unsanitary conditions under which their meat was being prepared, rather than outraged at the conditions faced by the workers. 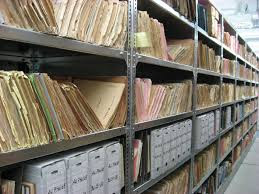 This led directly to the Pure Food and Drug Act of 1906, establishing the first federal inspections of food products, and laying the grounds for future regulations. While accidentally severed finger levels in prepared meats may be at an all time low, it is worth noting that meat industry titan Cargill Inc. is the single largest privately held corporation in the United States. If you count Cargill's foreign subsidiaries, it is larger than the Ford Motor Company. And it was through Cargill that my employer received most of its meat, from processed products such as hotdogs, to pre-packaged Styrofoam trays of fresh chicken and pork cuts, to the 'primal cuts' from which we cut the top quality Canadian AAA black angus T-Bones that inspired this article. Fact is, I lied when I said I used to be a butcher. Sure, I have the training to handle a full animal carcass in the way butchers have for centuries, but day to day I was merely a meat cutter, the industry term for those meat plant and supermarket workers who rarely do anything more than slice and trim larger, mostly prepared pieces of meat into the smaller pieces with witch consumers are familiar. The tail end of a process that from farm to kitchen has been industrialized. The development of the modern supermarket was the final link in that chain. Until recently, although the stockyards could concentrate live animals and distribute carcasses, and the packing plants could can and package cooked and frozen meats, the butcher was still the man we went to for the prime cuts... for the roasts and steaks and ribs and turkeys that consumed on special occasions and served to our honored guests. What has changed is that the butchers of old, at least most of them, are now just 'meat cutters.' Once trades people, they are now the last stop on an assembly line. One of my older colleagues once revealed that his hourly wage was the same now as it had been in the 1980s. There are still, of course, traditional butcher's shops to found, and indeed new artisanal shops operating in the traditional manner and offering the meats of the highest quality are springing up in health conscious, densely populated urban areas and wealthy suburbs. But what they offer is a luxury product, something out of the reach most people, something expensive, something to show off. So, in other words, traditional meat. Maybe that is what my colleague meant by the value of a trustworthy butcher: somebody on your side, willing to cheat the system. 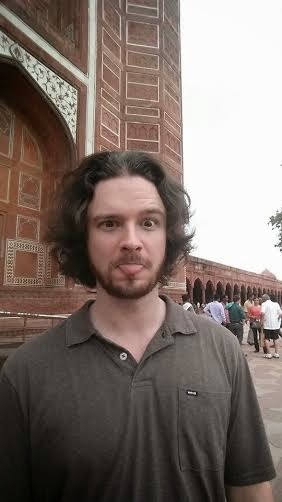 Peter Hynd is a PhD candidate in the Department of History at McGill University, and a PhD Fellow at McGill's Indian Ocean World Centre. His thesis is a study of efforts by the British colonial government to tax and regulate alcohol in nineteenth century India. http://independenceusa.net is a right place to find out American history.